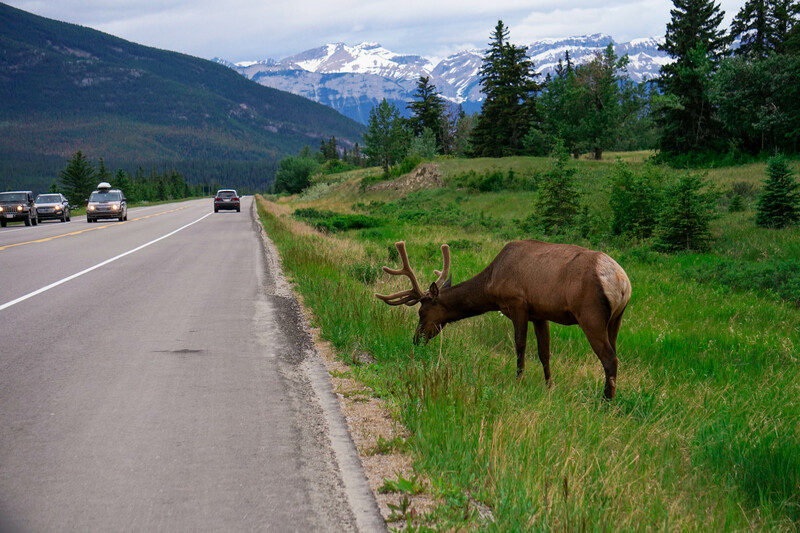 To be frank, you’d be hard pressed NOT to enjoy your stay in Jasper National Park. The scenery is beautiful, the activities are pretty much endless, and the wildlife is abundant. (Don’t believe us? Check out all the furry friends in the video below! While there are always many options of the best (or worst) activities to enjoy when visiting a certain area, here are the outings that (in our humble opinion) definitely won't disappoint. Jasper Town: This small, bustling, and diverse town is worth a walk! Make sure to take your wanderings further than the main street – you’ll find an abundance of small shops, local businesses, and delicious eateries. Maligne Lake: This jewel-turquoise lake is a must-see; however, to avoid crowds, we would recommend visiting in the afternoon. The parking lot will be much emptier, and since the sun doesn't set until after 10:00 pm, you've still got plenty of time to enjoy the views! The Wicked Cup: True, The Wicked Cup is a café – so why is it making our list? With their homemade snacks, delicious, loose-leafed teas, and array of authentic and handcrafted Canadian gifts, this venue is a breath of fresh air after visiting all the gift shops peddling with the same, made-in-china wares. Their patio is large and welcoming, and bedecked with hanging floral baskets – so don’t be surprised if you have a few birds or squirrels as company! Sulphur Ridge Trail/Miette Hot Springs: Since you’ll be making the almost 1 hour journey from Jasper Town to Miette Hot Springs, might as well make a day of it! We found that, of all the areas in the park, this one felt the most authentically wild and secluded. Start they day with the hike up to Sulphur Ridge – a 360 degree vista awaits, showcasing the wild ruggedness of the Rockies. After working up a sweat, head to the hot springs - for a mere $7, enjoy a soak in their outdoor pools, with the mineral rich springs pumped in to hygienic and comfortable pools. There are four in all – a hot pool (with pure mineral water), a warm pool, a cool pool, and a cold pool (with their mineral water diluted with icy glacial water in differing amounts). By alternating these pools, Norman and I easily spent 3 hours here! Make sure to bring a water bottle and drink plenty of water – a lengthy soak in the springs can easily dehydrate you. Canyoneering: If you’re the adventurous type, book a canyoneering tour – which will take you deep into the slippery depths of one of the local canyons! We desperately wanted to do this tour, but since they are limited in they days they operate (mostly in late summer and fall), we couldn’t. If you do go, please let us know what you thought! Food Tour: Jasper has some truly amazing restaurants – with a local Trattoria (pasta maker/restaurant), and the Albertan affinity for wild meat and game, it would be a shame to miss the gastronomic delights that Jasper has to offer. With chef’s favorites and boozy cocktails, this tour is bound to leave you filled and smiling! For camping, there are many options – the Whistler’s and Wapiti campgrounds are a convenient option, but with over 500 sites each, they feel a bit crowded and hectic at times. 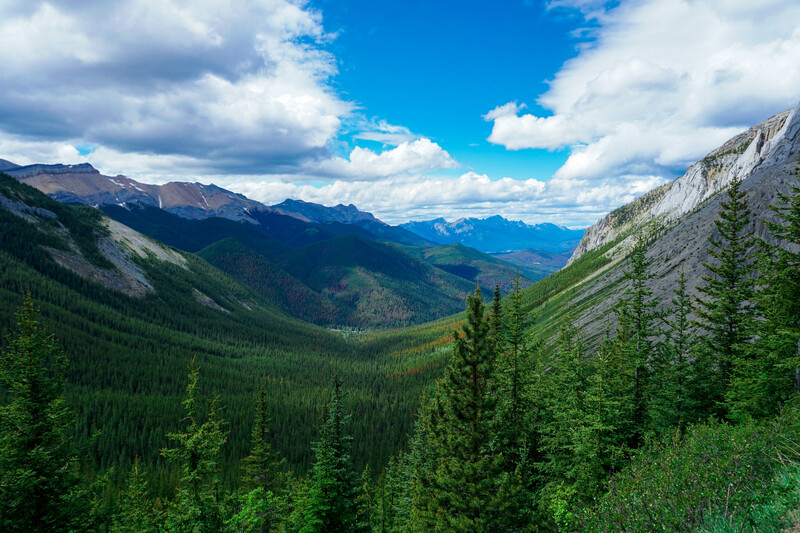 We would recommend driving to the Snaring campground (just 10 km North of Jasper town) when in the Jasper area. When you spend the day at Miette Hot Springs, the Pocahontas campground is a great, quiet option as well. *A quick note: the sun does not set until well after 10:30 pm when you are so far North. So have no fear – there is plenty of daylight to see and explore as much as you desire before the short Canadian summer night fully sets in at around 11:30. British Columbia in the Fall - Your motorhome adventure awaits! Happy Holidays Motorhome Rental, Sales & Service Ltd. Copyright 2019 HappyHolidaysMotorhomes Inc. All Rights Reserved. No part of this website maybe reproduced without prior permission.